Kylie® chair pads are based on the same 5 layer absorbency system as the Kylie® Bed Pads, the best selling washable bed protection product in the UK. 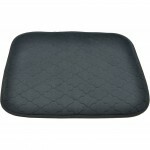 The means you can have the same level of absorbent waterproof protection for your chairs as well as beds. 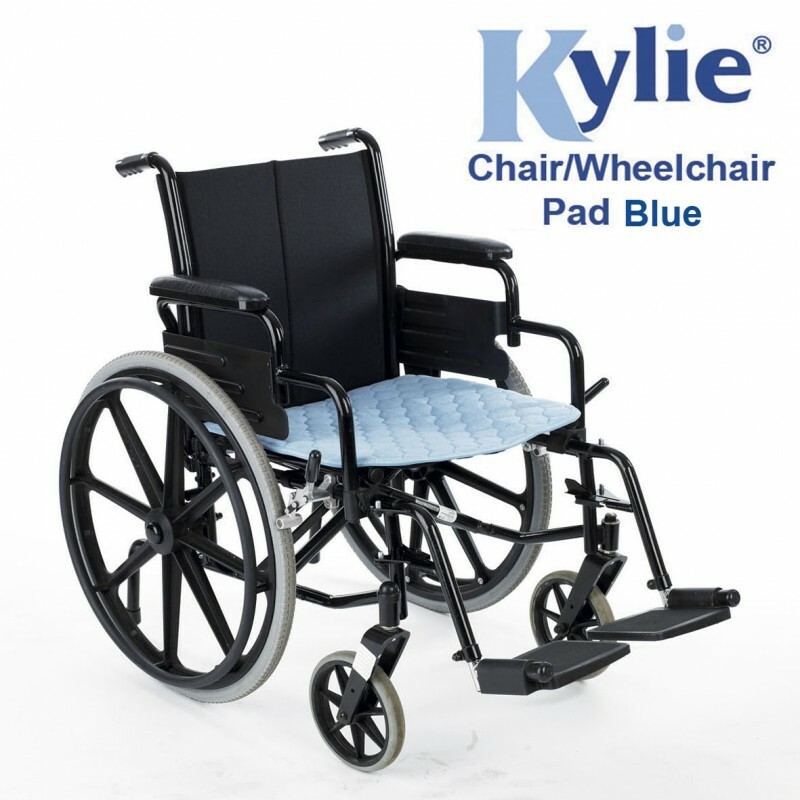 Who Uses Kylie® Chair Pads? 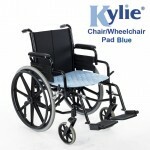 Our pads are very popular with wheelchair users. 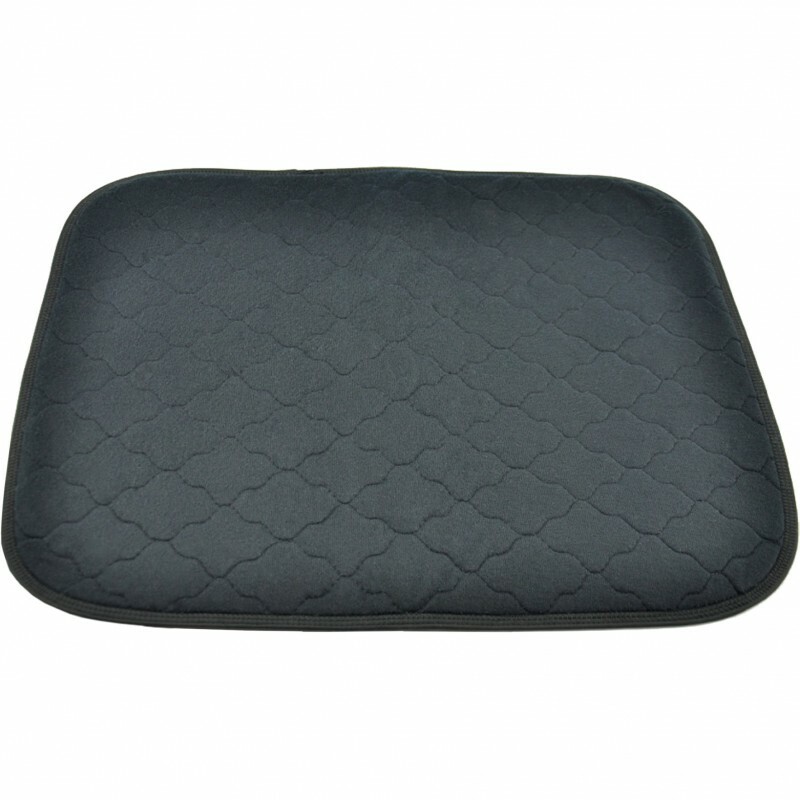 The non slip backing makes the pad ideal to line a wheelchair, and the absorbent material will keep your expensive wheelchair clean and dry for years to come. 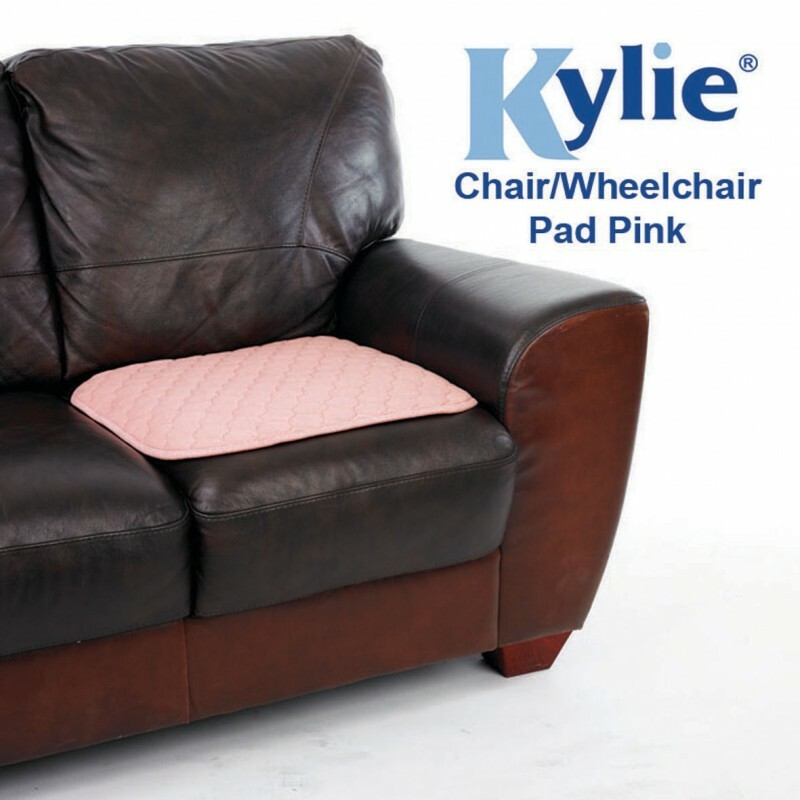 We have sold thousands of Kylie® Chair Pads to local authorities for use in car share schemes for elderly people, as well as care homes to keep their resident’s lounges hygienic and comfortable. If you wear incontinence products, you can also use them in your own home to protect your soft furnishings. As good as any incontinence product, they are still likely to leak at some point. Kylie® Chair Pads are available in Pink or Blue and measure 50 x 50cm.